Trigger Warning: Detailed talk of child loss/medical experiences. I've been a bit of funk of late and could not for the life of it get to the bottom of what's going on. Then it hit me: My head has reached capacity. We go through so many things in our lives. Some bad and some marvellous. Some we talk about and some we don't. 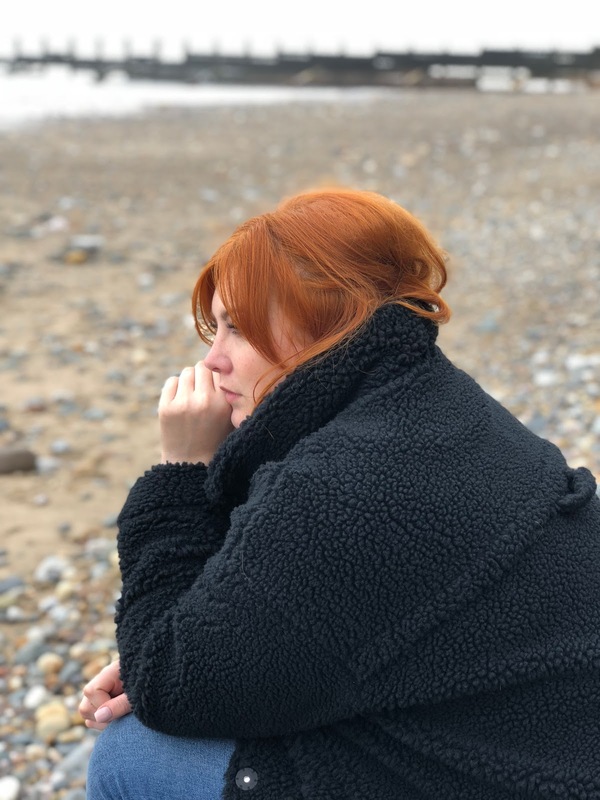 Ultimately, I guess we must reach a point where we're fully loaded - That's one of the original reasons I started this blog; A space to vent, to share and maybe even somewhere that other big odd women can relate or refer to. I absolutely do not want this to be a site that is SAD and SERIOUS because I am 100% neither, unless I am a. Hungover or b. Pretending I am an adult for a job/loan/other adult reasons. However, I have this space and I need to stay true to my original intentions. I PROMISE MY NEXT POST WILL BE KNICKERS. So here is a big folder that has been archived in my brain, on a topic that I've mentioned time and time again, because grief really is an emotion that never truly leaves you, regardless of whether you feel it should or whether the thing you lost is no longer something you need. I miscarried on good Friday four years ago. I remember because I had some strange catholic belief that if Jesus was risen from the dead then so could my baby. I was in a room that wasn’t my own, I was bleeding and it hurt and I told my husband then told my mum and everything went quiet because who knows what to say when this happens. Rang the hospital who told me to go to the emergency walk in. Waited awhile, knowing that really time didn’t matter because when you bleed like that a baby isn’t going to be a baby any more. There was a woman crying in the waiting room. I chatted to her, trying to take her mind off the pain she was clearly in. She had toothache and alone and I felt awful for her because nothing hurts more than toothache - She thanked me for talking to her and taking her mind off it, she was so grateful to not be alone and in pain. The doctor was dressed like a Bond villain in a black rollneck, covered in wiry white hairs and smelt like dogs. His room was too hot and I was sweating and everything smelt too much of unpleasantness. “One in three pregnancies ends this way” he said when I gave him my notes and told him about the pain and the blood. So it’s ended. I’m the one in three. No comfort at that point but it was oddly comforting to have something to say to everyone as part of the “I’m ok though” conversation. Onto the hospital where the blood test showed that I was still pregnant. The ultrasound next. Two incredibly kind women whose faces knew exactly what shapes to make. With my husband there, I thought again of the biblical rising of the dead and held his hand with part of my brain trying to convince me that this would be the first time that we would see our baby and that this would be one of the HAPPY memories. Appointments made for the next day whilst I waited in the maternity ward with the expectant mothers, grinning comfortingly at them hoping that they wouldn’t realise I wasn’t one of them any more and subsequently turn their thoughts to the negative, the fear and pity. Back home, back to bed. Easter plans cancelled, parents called and gently told, friends full of love and sadness and not knowing what to say. The guilt that comes with all of that. Of letting people down. Remembering their excitement and predicting their grief that they would never show because their love for me transcends everything else. My husband’s set jaw, not knowing how to react because we didn’t know how to react when the baby was alive never mind now the baby is dead. Hugging and sniffling and the physical pain and the blood and the confusion. Blood tests the next day confirm it really is the end of this story. Down to a local cafe for breakfast and to get out of the room that isn’t my own, laughs as we talk about ordering a real drink for the first time in months. Discomfort and a pain that’s not physical as something passes in the toilet to be flushed away because oh my god what else do you do?!? Nobody has told me and nobody knows what to say but at least nature hasn’t played any more tricks on me and I can joke about it whilst everyone else looks a bit uncomfortable but it’s my decision today. Time moves on, back to work, having to tell people I didn’t want to know because of one day off work. Too much sympathy. Too much. Will have to think about Christmas leave because I’m not going to be on maternity any more! Every woman has experienced this in some way, they tell me and it HELPS. It really does. The one in three seems more now that people are talking to me. United in loss. Deeply grateful for the NHS. Deeply grateful that I was able to experience pregnancy when so many don’t. Deeply grateful that this baby was a choice. Deeply grateful for the completeness we get in being a family of just us two. Never really “moving on” - The words of an angel of a friend who has experienced this more times that could ever be fair, telling me to tell anyone who suggests that I SHOULD, to “go f*ck themselves”. There are the bits that we share and the bits that we keep to ourselves. When another well meaning colleague asks the inevitable questions, I know I can’t tell them about the doctor who smelt of dogs or the underwear that needed to be thrown away. It’s not NICE. But still life goes on and there are SO MANY joys and happinesses that we experience and maybe now is the time to tell the whole story to people who know me and people who don’t so here it is. Not presented for sympathy, not presented for shock. 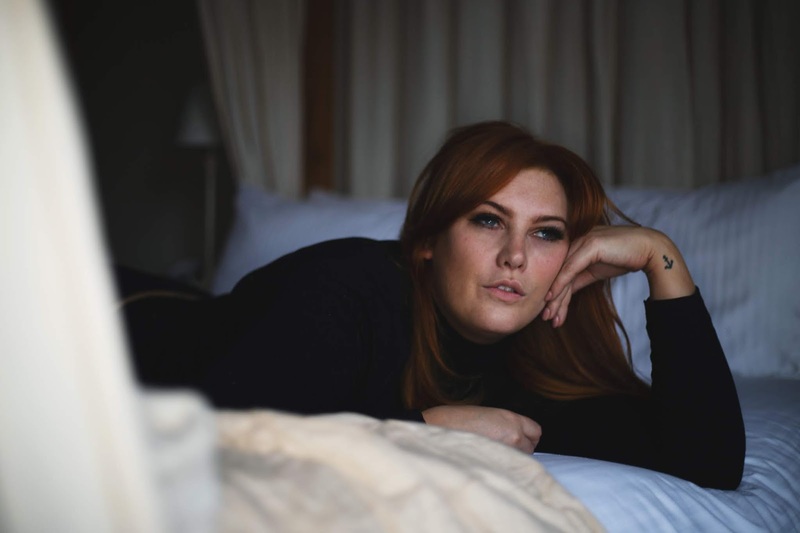 Presented for catharsis and a hope that if you want to talk or to share or just to go back to the grim and odd little details of your own sadnesses that you keep locked away but really should let yourself remember and feel, you can. Presented in the knowledge that this experience is not unique or rare, and no longer exists in MY mind alone. Because we are the one in three. 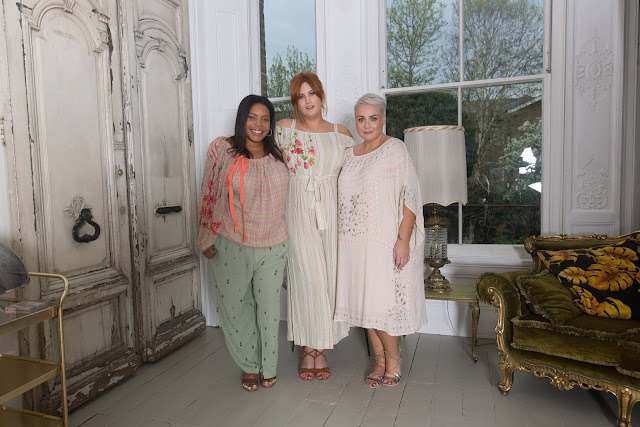 You all know I love Navabi, so when they got in touch and asked if I'd like to join in bringing the gang back together, I didn't have to think twice!! 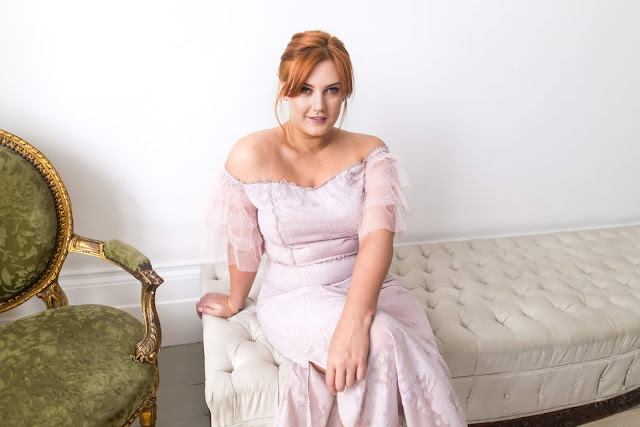 The theme was "The Wedding Edit", SO with Chloe, Becky and the Navabi team, I spend a day flouncing around in the most beautiful occasion dresses (and jumpsuits!) on the market whilst the incredible Jade of JKG photography did her thang. I tried on so many things that I would never think of trying - Me? In three different shades of pink? Get outta here. I honestly don’t think I’ve ever worn baby pink before but I can honestly say that I adore this tulle dress from Lost Ink. It’s utterly perfect for a christening or Summer wedding; The length is spot on for my height and I can imagine pairing it with my fave leather jacket and smoky eyes for a rocking evening do. 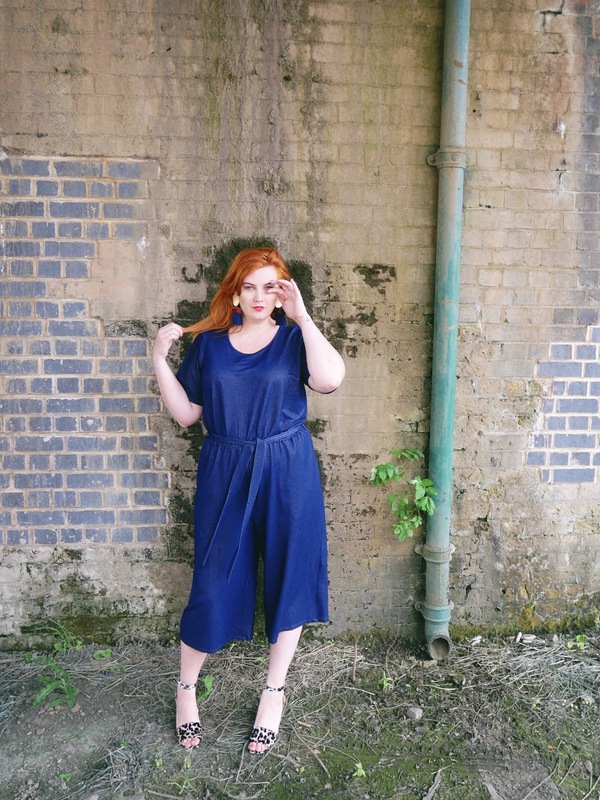 I had a bloody brilliant day with Navabi, as always. This is a brand that just GETS IT you know? They stay true to their customer base whilst always looking at ways to bring quality fashion to us chub chicks. For beautiful, unique buy-to-last pieces I cannot fault them. After a friend accidentally referred to me as "Tumble Tots" I realised that maybe the time had come. The content will remain the same, I'll just be confused less with toddler group. SO here we are: RIP Terrible Tumbles, Long live The Em Edit! Today was so hot that as soon as I left the house I was wet. Not sweaty (Or anything else body fluid-wise) wet with something meterological. Something air related. And I really wished I wasn't wearing jeans... I love the fit and flare cut of this Evans dress and how airy it subsequently is. 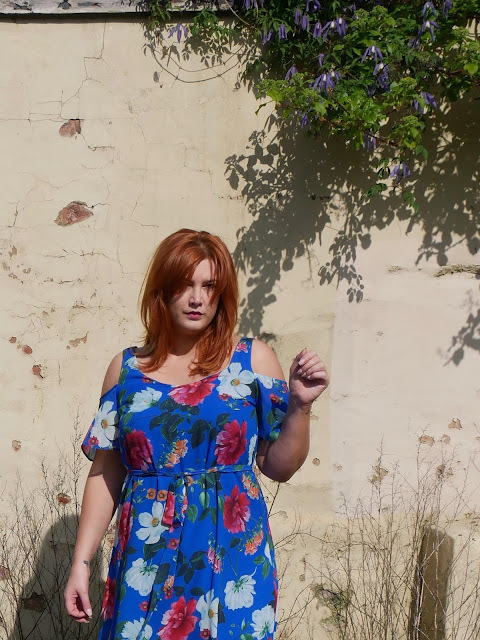 Okay, I know I've been down on cold-shoulders in the past but I WAS wrong - Paired with heeled sandals it's an easy to wear option for a hot evening in the city or a casual day event. I'm wearing a 16 in the dress and 9 in the sandals here. Both are slightly on the larger side so size down if you're on the cusp. I think we've all felt insecure about some point of our body at a time in our lives and Summer totally accentuates that. Just a reminder that when the weather is hot, it's so much safer and comfortable to dress appropriately - Your body is exactly the same whether its encased in a jumper or a vest, except one is hot and sweaty and bothersome and stops you from enjoying the glorious weather and the other lets you just LIVE without fear of keeling over from sunstroke. Give it a go, see what you think. 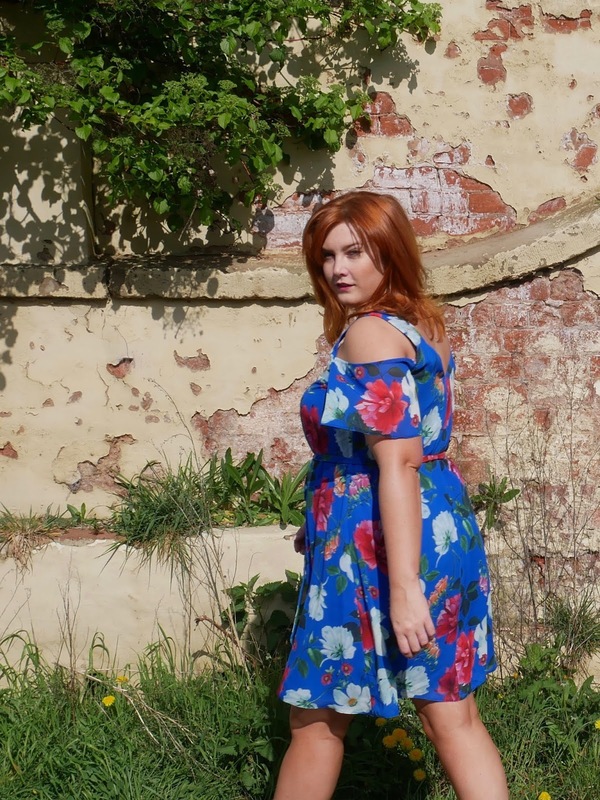 Keep your eyes on my Instagram for some tips for avoiding the chub rub which inevitably accompanies lovely Summer frocks. Long gone are the days of flammable thighs! Bethany Rutter is fabulous, there's no two ways about it. 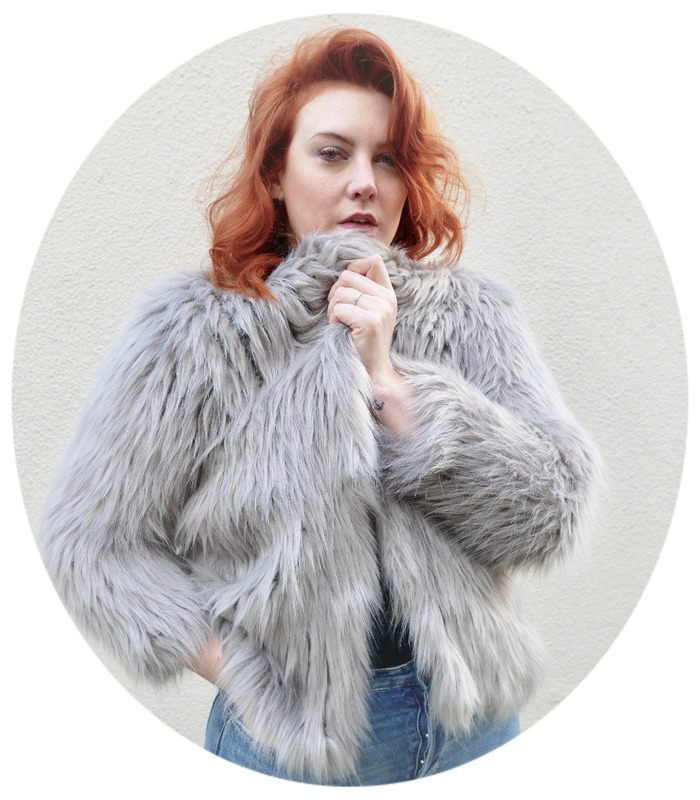 She's bright, fun, influential and WHOA can she design a capsule wardrobe! 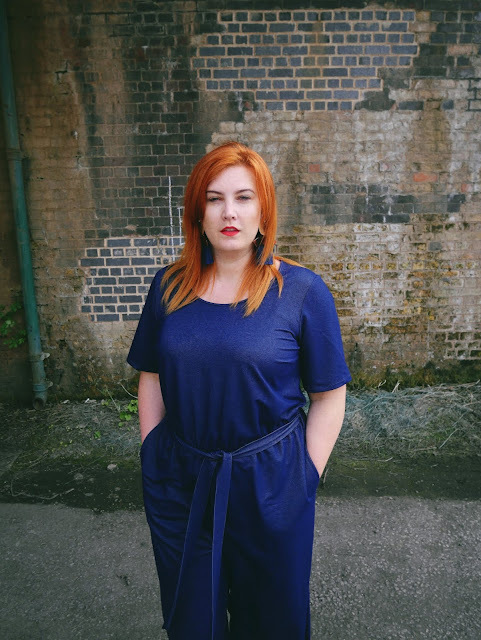 Bethany's first Arched Eyebrow x Navabi collection knocked everyone's socks off; Beautiful bright wardrobe classics which have seen so many of us through the year and this range is just as strong. 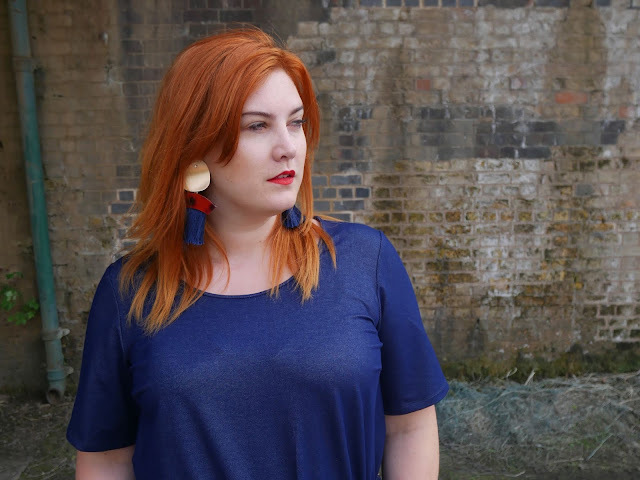 Bethany has always been at the forefront of the call for wearable basics for plus size babes and that's what this range is. 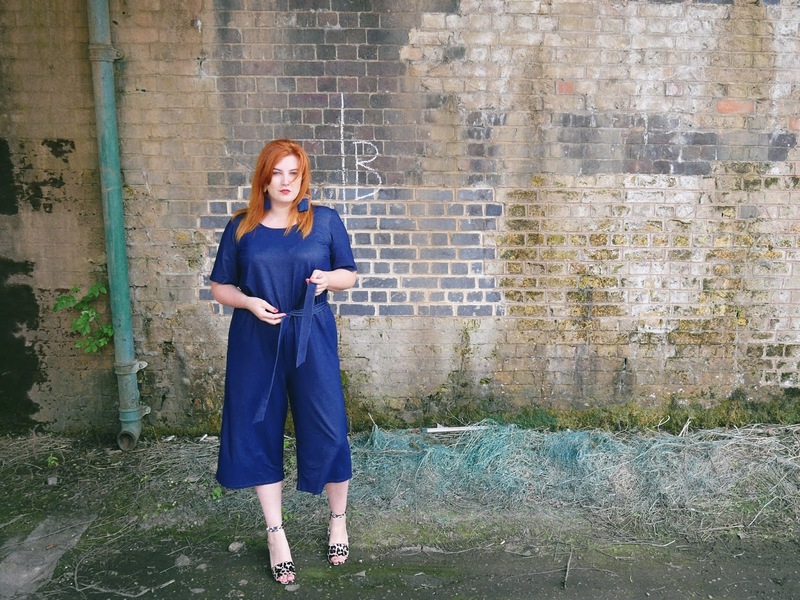 Cute colourful tees, go-with-everything culottes and this fabulously wearable denim jumpsuit - On a page, the collection is simple, SO cohesive, and frankly beautiful. When I look at any range, I like to assume that at least one piece was made with me in mind and this one is mine. Comfortable and easy to wear - Denim effect is perfect for Summer, you get the look without the bulk (and sweat!). 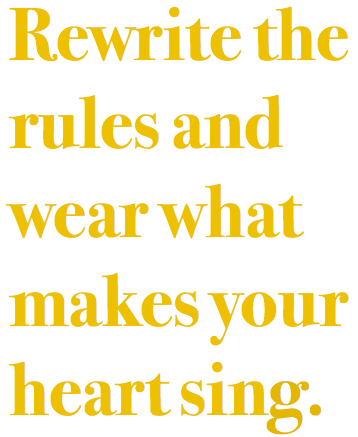 The length is spot on, the neckline is easy yet chic. I would be just as happy wearing this jumpsuit with my converse and a leather belt as I am in heels and statement earrings. And you all know how much I love versatile. Huge congratulations to Bethany and Navabi for yet another crowd pleasing collection - Please keep them coming!